The data of any important app or folder should be backed up consistently as accidental deletion of data or loss of data as a result of a virus attack is always a threat. Messages app is considered as one of the most important apps because it contains different precious conversations between you and your friends or family. As it contains your precious data, you should try to save those conversations by creating a backup. If you have lost text messages on iPhone and don't know how to recover them then here are 3 solutions that can help you ion recovering your lost text messages on iPhone running iOS 12/11/10/9/8/7. iOS uses a database system known as SQLite to store data such as text messages. Whenever you are deleting text messages, the data isn’t actually deleted. Instead, the entry is switched from “Allocated” to “Unallocated”. This means that the data can be recovered until the entry is overwritten with new data. With that in mind, if you recently lost text messages, you can recover them with the right tool. If you take regular backups with iCloud or iTunes, then it might be easier for you to simply restore the backup. In fact, not many people are aware that when you take a backup the iPhone lost messages which can be recovered is also backed up. Of course, iPhone users (no matter use iOS 12 or older versions) can’t directly access this data. However, if you have the right iPhone data recovery tool, you can recover your text messages. It’s worth noting that if your recently lost data can be recovered. You should immediately stop using your iPhone to prevent the data being overwritten and thus, being unrecoverable. Below are the 3 solutions through which you can recover your lost text messages. Step 1: Connect your iPhone with the computer using a USB cable. Step 2: Open iTunes on your computer and locate your device which will appear at the top left corner of the screen. Click on your device to open the summary tab. Step 3: Click on the 'Restore Backup...' button in iTunes. Step 4: Pick the most relevant backup to restore from. Now wait for a few minutes as iTunes would get to work to restore all the data to your iPhone. Keep in mind that iTunes will only help in recovering your lost text messages if you have previously backed up your device with iTunes. Moreover, it's important that you create a backup of your recent data with iTunes first because the previous backed up data will erase all the new content in your iPhone. Step 1: The first thing you need to do is to erase your iPhone. Go to Settings > General > Reset and tap on 'Erase all content and settings'. Step 2: After erasing all content, your device will ask you what to do by giving you some options. Select 'Restore from iCloud backup'. Enter your Apple ID and password to proceed. Wait for a few minutes to get all your content including your text messages from iCloud backup. iCloud is only capable of recovering the data which has been backed up already. If you won't back up your text messages consistently, iCloud won't be able to help you out with the method proposed above. You should also remember that before you start any restoration, you must create a backup of your new files. 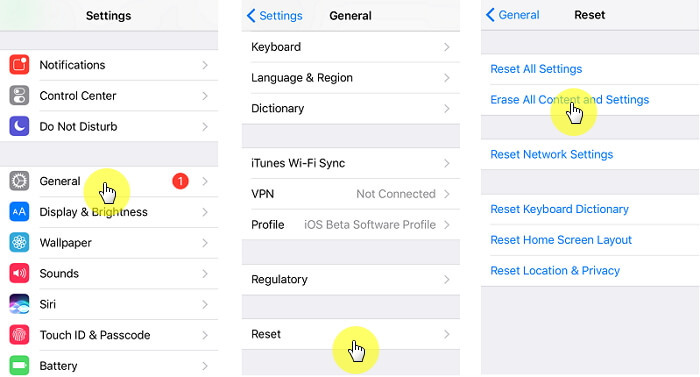 The new data in your phone may be wiped out during the restore. Are you not so familiar to using iCloud? Here’s everything that you need to know about iCloud and whether or not it backs up your text messages. Does iCloud Backup Text Messages? Yes! 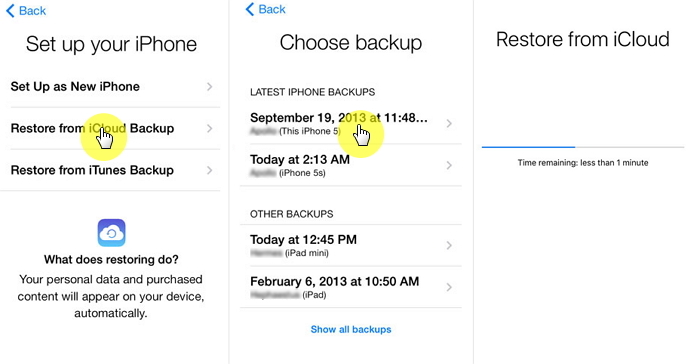 iCloud is capable of backing up your text messages, but only if you enable the backup setting. You can enable this by going to “Settings > iCloud > Storage & Backup > Manage Storage > Your iPhone” and from here, you can activate text messages backups. Keep Checking on Your iCloud Storage Memory. Even though iCloud is a free cloud storage service, you are limited to 5GB of storage before you need to upgrade and, unfortunately, iPhone data can fill that up pretty fast. There are a few ways to get the most out of your iCloud storage. You can use iTunes instead, disable apps from being backed up, or delete some of your unnecessary data so that it isn’t backed up. Alternatively, you can purchase extra storage - this can be expensive though. If you’re focusing on backing up your text messages then the best way to conserve your iCloud storage is by deleting texts and text attachments which aren’t important. Emojis, GIFs, or audio clips are a few examples of data that shouldn’t be backed up and which can fill a big chunk of your iCloud storage. Can I View iPhone Messages on iCloud? No. Sorry to tell you that Apple doesn't offer the path where your iCloud backup files is stored. You can view photos, contacts, notes, reminders, etc. on iCloud.com, but text messages/iMessages are not typically viewable on iCloud.com. Surely it's still on cloud and on Apple's server. But you just can't view them online. So even if someone has your Apple ID, they can't see your text messages. 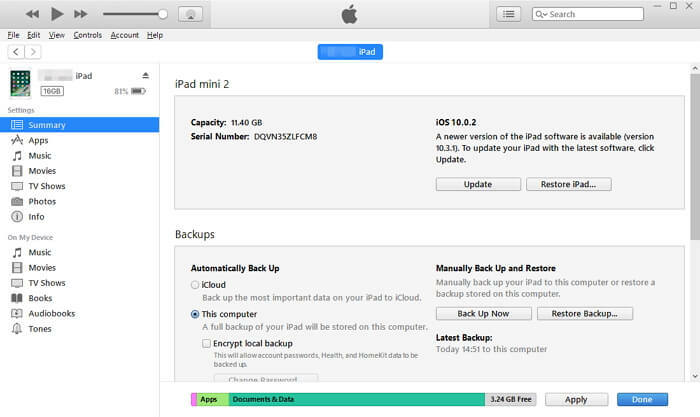 Here you may need D-Back to help you to view your iCloud backup. 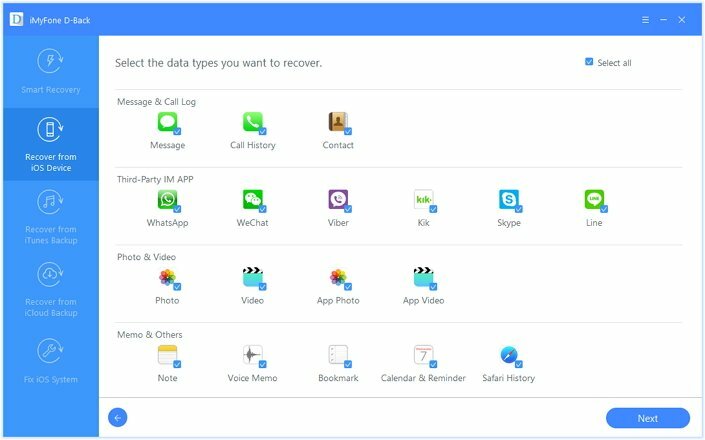 iMyFone D-Back is one of the best iPhone data recovery tools which can identify and recover your lost text messages on iPhone without any much effort. The user-interface is very simple that anyone can use this tool to get back all the lost data, no matter how you lost it. The following are the main features of iMyFone D-Back. Supports more than 20 file types including photos, contacts, videos, notes, WhatsApp messages, Kik messages and more. 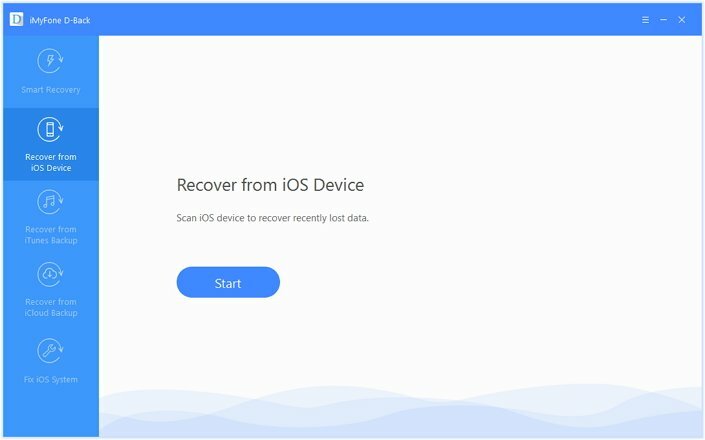 Provides 4 data recovery modes: Smart Recovery, Recover from iOS Device, Recover from iTunes Backup, Recover from iCloud Backup. Preview function is to help you in selecting particular messages to recover. Almost all the iOS devices and iOS versions including the latest iOS 12 are supported. 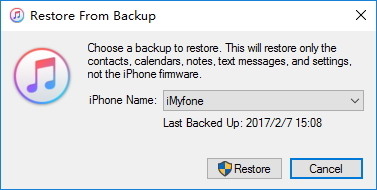 Below are the simple steps through which you can recover lost text messages from iPhone if you lost iPhone SMS by using the iMyFone D-Back software. Step 1: Download and install the iMyFone D-Back program on your computer. Choose the mode you want: Smart Recovery, Recover from iOS Device, Recover from iTunes Backup, Recover from iCloud Backup. Step 2: Now the program will ask you about the file type which you want to recover. Select 'Messages' and how you lost the data. Step 3: Now the program will start scanning your iPhone to recover deleted text messages from the iOS device, iCloud backup or iTunes backup regarding the mode you choose. After completing the scanning process, your messages will be shown. Now select "only show the deleted" to preview all the deleted messages. Now select your deleted messages and click the 'Recover' button. 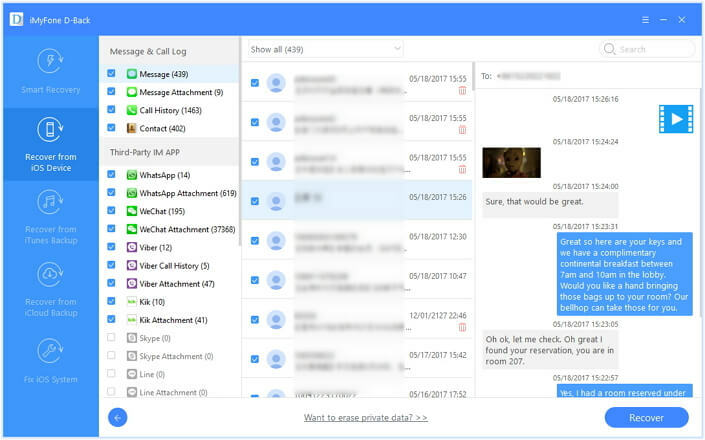 All of the above 3 solutions are ideal for recovering your lost messages. If you want try with iMyFone D-Back or iMyFone D-Back for Mac (compatible with iOS 12), please download the trial version below. Is It Easy to Recover Text Messages without Any Backup? iPhone data recovery can be a very difficult task and there’s always the chance that you can’t recover your text messages. That being said, if you have a professional data recovery tool then you have a fairly good chance of recovering the lost data without any problems - please keep in mind that there are no tools that guarantee a complete successful recovery. It is still worth trying the trial version of a professional third-party software first for your important lost data. There are the ways to recover your deleted text messages. You can use iTunes, iCloud, or a third-party program like iMyFone D-Back which supports iOS 12. To help you make the final decision, we have briefly reviewed these solutions below. We hope that by reading this guide you’re able to recover your lost iPhone text messages. We understand that this is a frustrating situation but hopefully, with the help of our guide, you can find the help that you need. Make sure that you check out the free iMyFone D-Back trial and if you have any questions or you need further help, write a comment below and we’ll help in any way that we can!